Do you remember these? 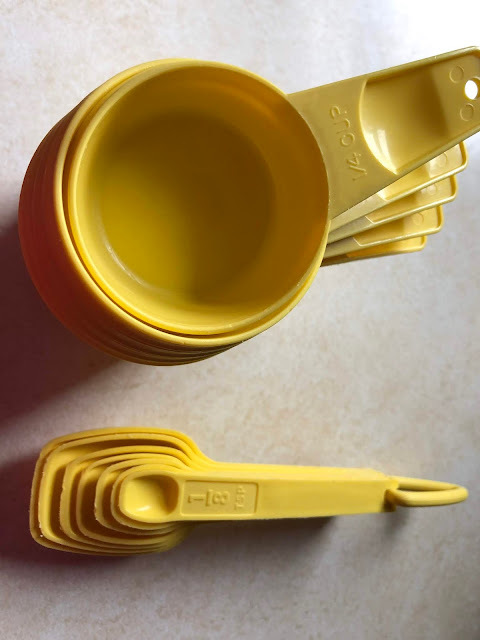 They are from Tupperware back in the early 1980s. I accompanied one of my best friends to a Tupperware bingo when she was setting up house. I hadn't met my husband yet, so having my own household was still off on the horizon. But I wanted to buy SOMETHING! So I decided on these two items as they were small and could be stored easily until I eventually had my own place. I have used them faithfully for almost 34 years now. Is the article true??? I have no idea. However, if there is even a SHRED of truth to the claims...I don't want them anywhere near my family!!! So, I began searching for replacement measuring spoons and measuring cups. OH. MY. GOODNESS!!! The prices for these necessities are INSANE!! Thankfully, I found this KitchenAid set on sale at Kohl's online. They were originally $14.99, on sale for $11.99. I had $5 in Kohl's cash, a Kohl's Gift Card with a balance of $4.48, and got 30% off using a code that I received in the mail a few days ago. I will be picking them up at the local store to avoid shipping. After tax, the total applied to my Kohl's charge was a mere $.70!!! I may be receiving 5 Yes2You Rewards points from Kohl's and I entered the Kohl's website through Ebates...which gave me a $.15 rebate. Definitely a HOME RUN in the frugality game!!! Many moons ago, when I was in my small sewing room upstairs, I had used this piece of gray flannel as my design wall. Once I moved downstairs to the first floor I bought a stand alone design wall. It worked great, until I purchased a piece of furniture that would only fit in one spot...the wall where my design board lived! I disassembled my design wall and stowed it away until I had another use for it. And I've gone without a design wall ever since! 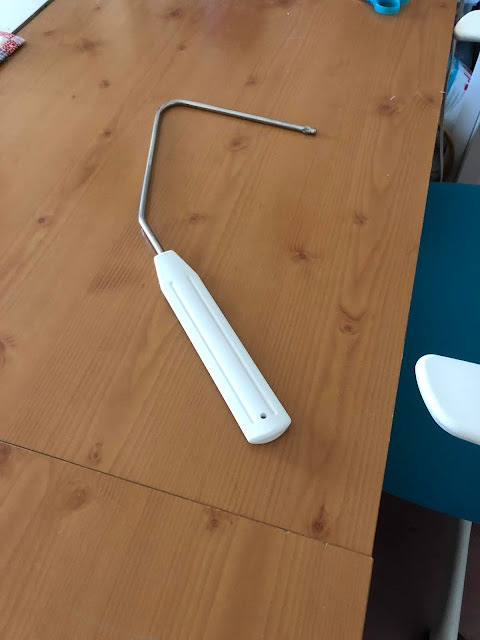 Months ago I found the above compression quilt hanger for sale on Facebook Market. It was well worth the $5 that I paid. Last week I placed my flannel inside and it was the perfect size. 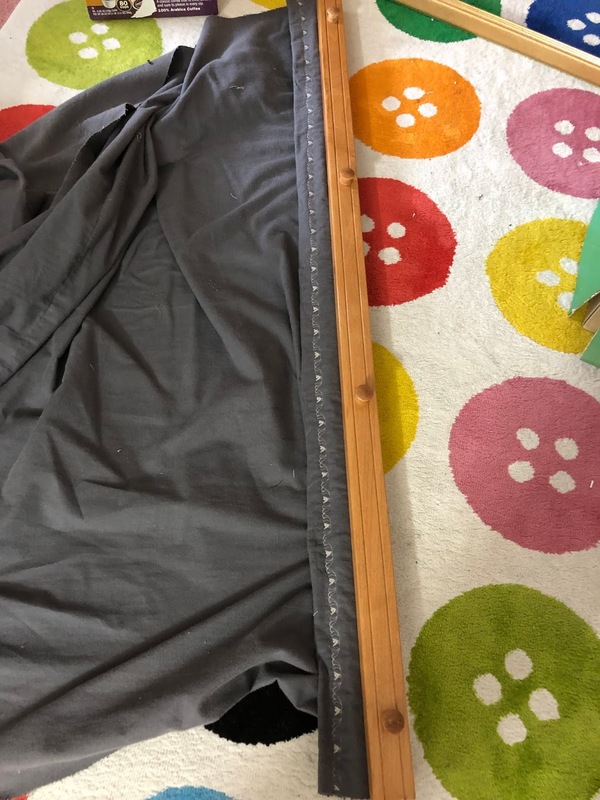 You would have thought I purchased the flannel specifically to fit with this quilt hanger! The color of the wood even matches some of the wood in my sewing room!!! To help with hanging, I put a piece of painters tape on the full length of the back of the hanger. 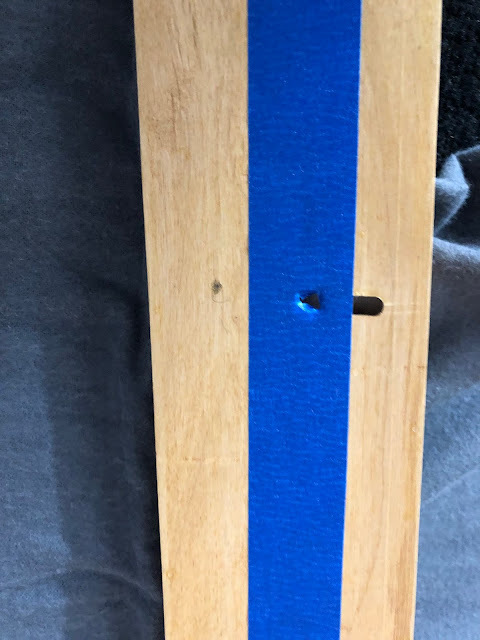 With a pencil I poked through the tape at the holes where the hanging screws will insert. 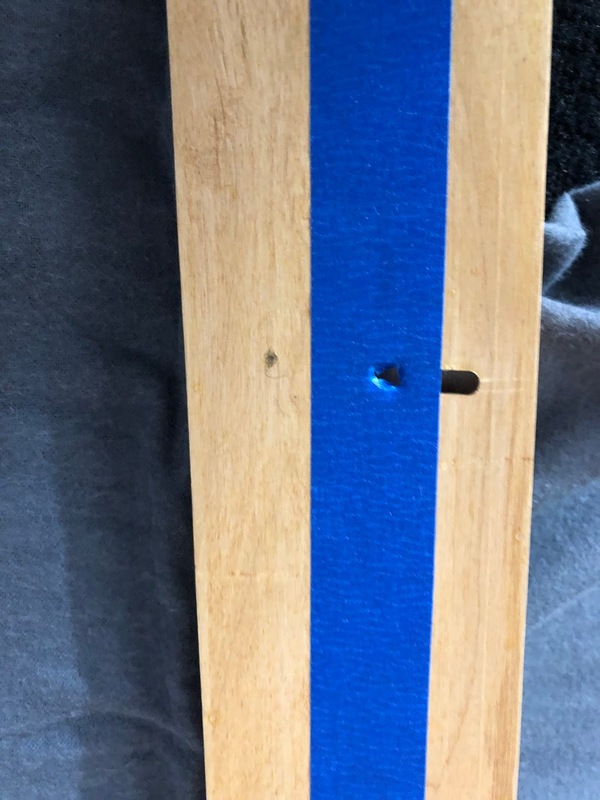 Now my tall son can use the tape to position and level the screw locations on the wall. I am SO anxious to have my design wall hung, but my horrendous balance necessitates waiting until J is free to hang it. In time. In due time. Patience is not my strong suit! Another sewing room pending project is a wall mounted pegboard for storage. This frame was hanging in my living room for probably 25 years. Over time the picture had faded a bit and the mounting glue had failed. 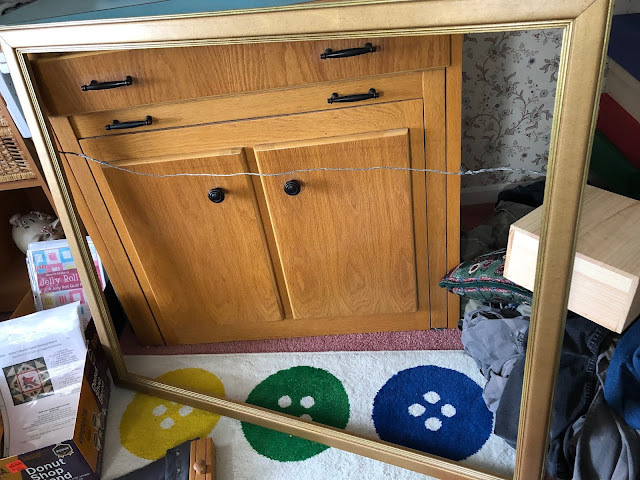 The frame, however, was in great shape and should make a wonderful frame for a pegboard...once the weather cooperates so I can paint the frame and eventually the pegboard center. As of now I don't have any pegboard, but I have put a want "out to the universe". It is amazing how many times just verbally expressing a need or want has resulted in the item practically falling into my lap!! Take this desk for example! Our grandson loves to play board games with me and his grandpa. For the past year or so we have been using a TV tray pulled in front of the loveseat as our playing surface. It is not, however, ideal...as most board games are bigger than the surface of a TV tray. 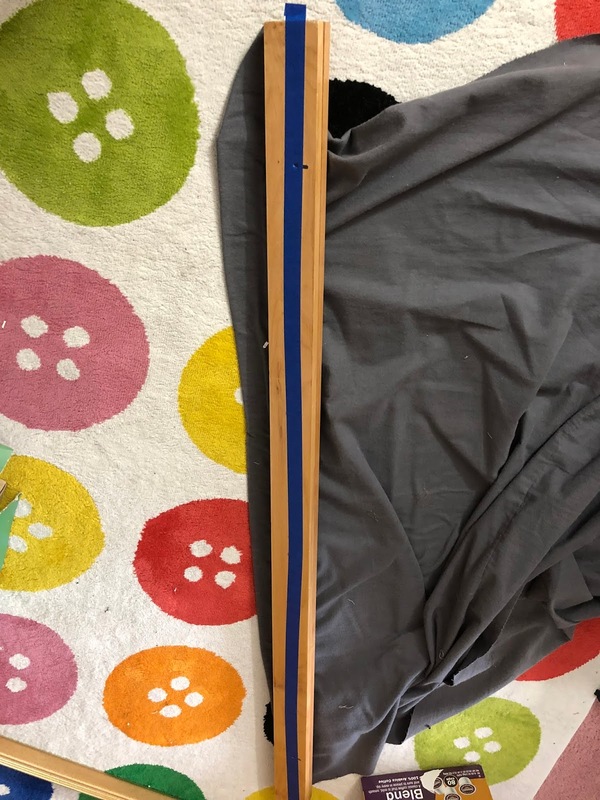 We have been looking for something big enough to fit any type of board game, and light enough to easily slide from the wall to the loveseat where we sit. Medical conditions make it difficult for us to trek to the kitchen table to play. Additionally it would be wonderful if it could be used as a writing surface for K to do his homework. While he has a desk in his room for when he is older, a first grader still needs to be near his family for answering questions and keeping his mind on task. This past weekend we found the perfect solution. The desk is plenty big for games, fits the wall space perfectly, slides easily on our laminate floor and is made to pull up a chair and get to work! All for $15. We couldn't pass it up! 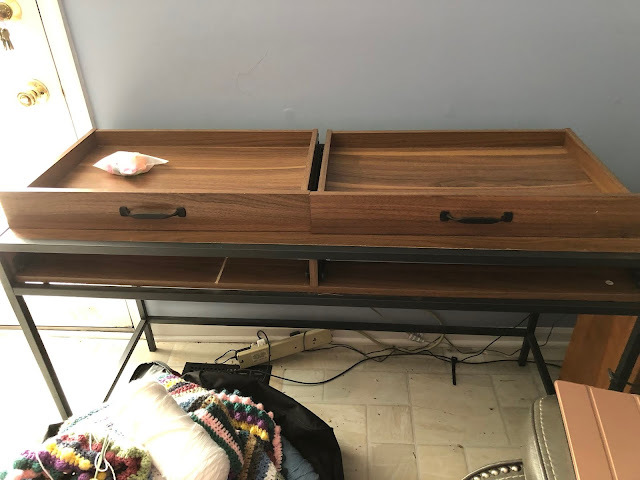 The sides of the drawers loosened a little during transport, so I am waiting to find a coupon for our local hardware store to buy a small bottle of wood glue. With Dear Hubby's retirement looming I won't pay full price for anything! I guess that is all for today! Talk to you soon! Excuse my poor attempt at editing, LOL, but things are about to change here...big time!!! While I have been "retired" since 2011 due to illness, Dear Hubby is getting closer, AND CLOSER, to retirement! He is the main bread-winner in our home and we are trying to plan for each and every outlay of cash once he is retired, with a good emergency fund for the unexpected! We have tallied up all of the recurring bills for the house, and our living expenses. But what about our individual spending? I'm a quilter, and we all know how expensive that can be...if we let it! I have a great stash of fabrics, but I am sure there are things I still need. Or do I? At what point do we have all that we need? In quilting? In life? It's a question I have been pondering a lot these days, as yet ANOTHER storage facility is being erected in our town. We are a country of confusion. We seem to have confused the difference between a "want" and a "need"...and I am no less guilty! During the Great Depression, NEEDS were great and people "wanted" nothing more than to have them met. Now we seem to fill our lives with more and more "stuff" in an effort to find happiness or fulfillment. In the Great Depression people were "happy" to find their next meal. How can we have come to get it all so wrong? So, last week I began to take a GOOD look around my sewing room to see what I really did NEED to purchase while we still had Dear Hubby's work income. My machine (Ellie) hadn't been sounding "quite right" despite my cleaning her of dust bunnies. I usually have her serviced every year while we are away on vacation (lessens my separation anxiety, LOL). However, with J & G's wedding this year I had completely forgotten! On Saturday we dropped her off to be serviced. Her knee lift looks SO lonely! I'm really hoping she is ready to be picked up by Saturday. While I am in the shop I will pick up another dozen or so bobbins to fit my machine, using a gift card. Am I the only one who seems to go through them like water? Joann's was having a sale and Wonder Under was reduced by the bolt. I'm starting to love applique and use Wonder Under to secure the pieces before edging or embellishing. I used Paypal funds acquired by purging and selling items in our home to pay for this stock-up. With Mother's Day coming, Dear Hubby was more than happy to have me buy my gift from him, LOL. 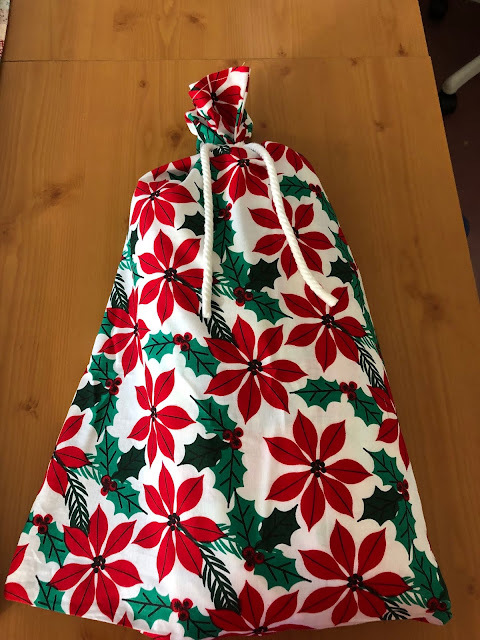 I know the fabric isn't a NEED, but I have been looking at this line and waiting for a sale to buy a layer cake. 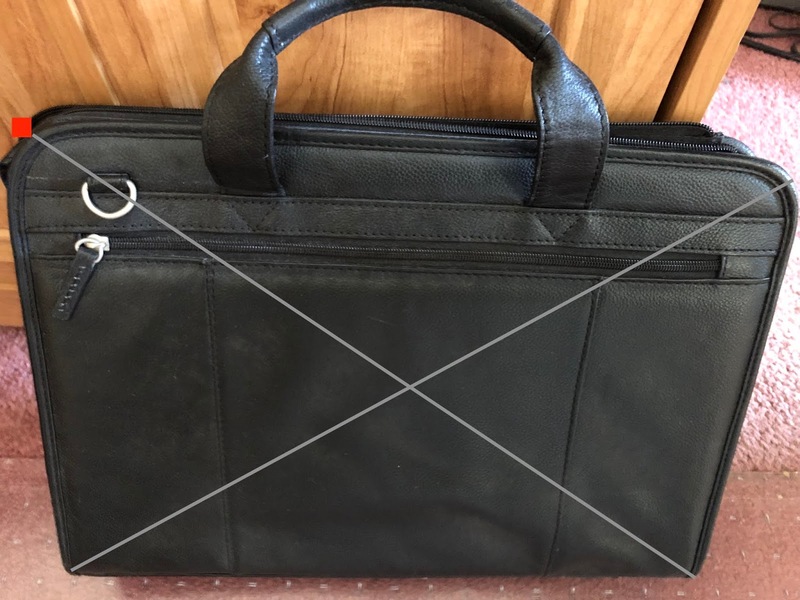 Finally, I found a sale that just happened to coincide with Dear Hubby needing a Mother's Day gift for me (even if it is almost 2 months early, LOL). What can I say? I'm weak when it comes to oh so pretty fabric! The needle nanny, on the other hand, was a definite need. I'm tired of searching for my lost needle! Having to have a needle surgically removed from my tush is bound to cost more than this nanny! I consider it insurance, LOL. I made some progress on my St. Patty's Day topper before my machine left for service. Every bit of fabric, thread, batting and even the embellishments were from my stash. My grandson helped me pick them out. Now to sew them on! 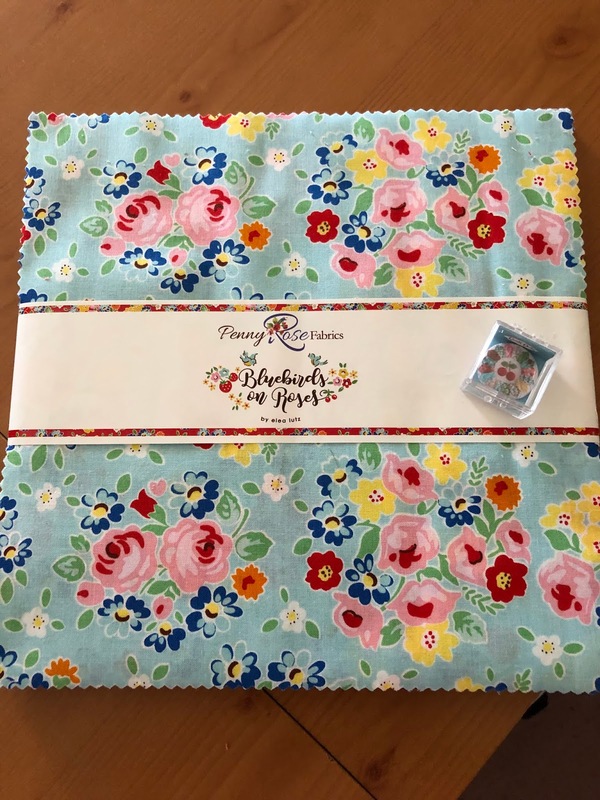 While I will wait until Mother's Day to cut into my new fabric, the needle nanny is being used now! I've also begun to consider what we NEED to acquire before Dear Hubby retires. I expect the first couple of months will be the hardest as we learn to adjust and live on less income. 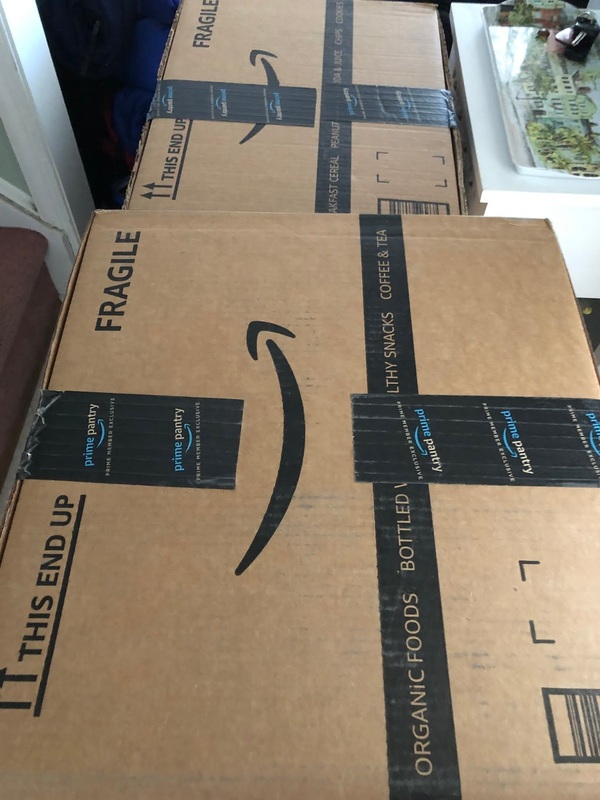 I placed a HUGE order with Amazon Prime and Amazon Prime Pantry. 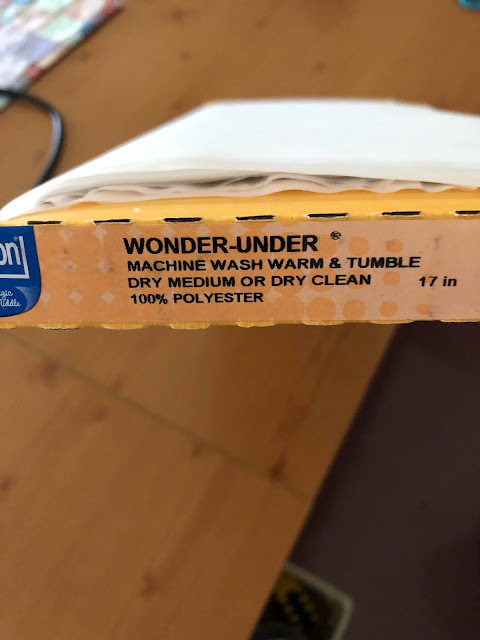 We are now fully stocked for at least the next four to six months on toilet paper, tissues, paper towels, laundry detergent, Bounce, color catchers, dishwasher tablets, toilet bowl cleaner and a few food items that were cheaper than in the grocery store. If he hasn't retired as we begin to run low, I will do another stock-up. Happily with this order I was able to use quite a few coupons on Amazon and pay for about one quarter of this purchase with reward points. I also entered the Amazon web site through Ebates, so I might earn a small rebate. Lastly, I linked my e-receipt to Fetch and earned a few points. Home Run in the frugality game!! 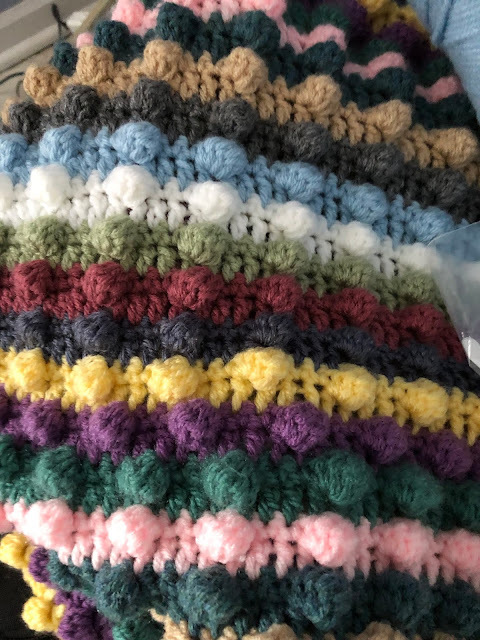 For the past few weeks I have been working on this afghan. It isn't perfect (little balls don't line up) but I love it anyway! I have been working on this off and on (more off than on) over the past 5-6 years. It is relaxing to watch TV while my hands are somewhere off in their own little world creating something pretty and useful. When finished, it will be cozy, warm and HEAVY! Maybe it will even provide a little anxiety relief along with warmth? The little bit of sewing that I HAVE done is a new topper for my foyer table. 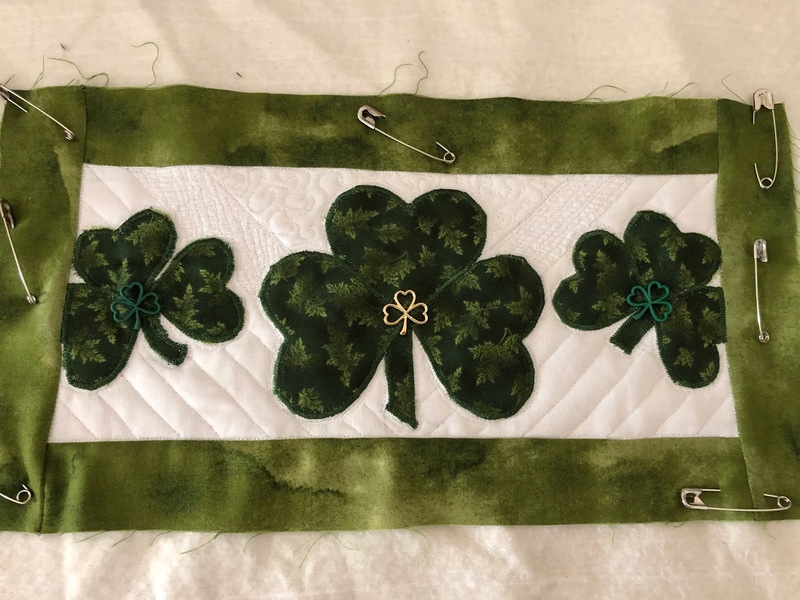 I know I am a bit "late" for this St. Patrick's Day (I will never get it finished in the next two days), but it will be all ready to go for next year! I have had a lot of fun with this project as I determined that it should be made completely from on-hand supplies. Limitations force creativity...which means more FUN! 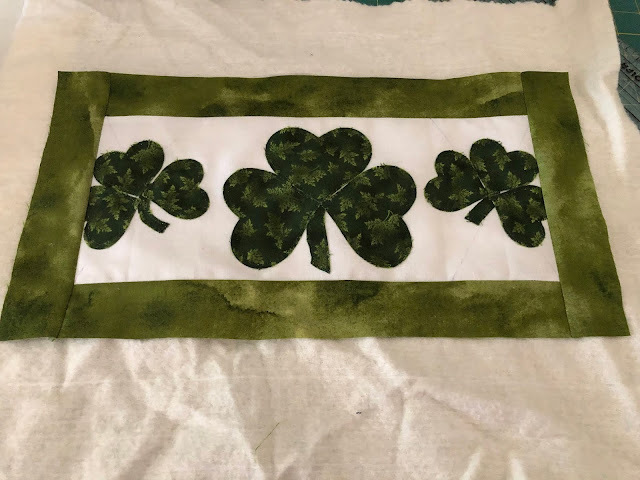 I don't have any more of the fabric used in my St. Paddy's Day 12" mini quilt, but I was able to find fabric that pulled out some of the supporting shades of green in the piece. I will outline the clover in a brighter green to coincide with the main green of the mini quilt. I hope to use outline quilting and a dense stippling to make the clover really POP! These two projects have led to quite a bit of unprovoked smiling, even when doing laundry...and anything that can link smiling to wash is a good thing! Have a wonderful SPD, all! BACK TO FMQ...It's been a LONG time! After months of absence from my sewing machine, I was really itching to try out my new FMQ ruler. I also needed a small Valentine's Day table topper for the small table in my foyer. Why not kill two birds with one stone? I took some small pieces of Valentine's Day fabric, pieced a small topper and set about learning to move my fabric AND the ruler at the same time. Oh boy was it "awkward"! After making gently arcing lines, my jaw, fingers, arms, neck and back began to cramp. Agh....relax, relax!! I gave up on ruler work and decided to do "scribble quilting" in the open space to make the triangles really pop. Cue the music! 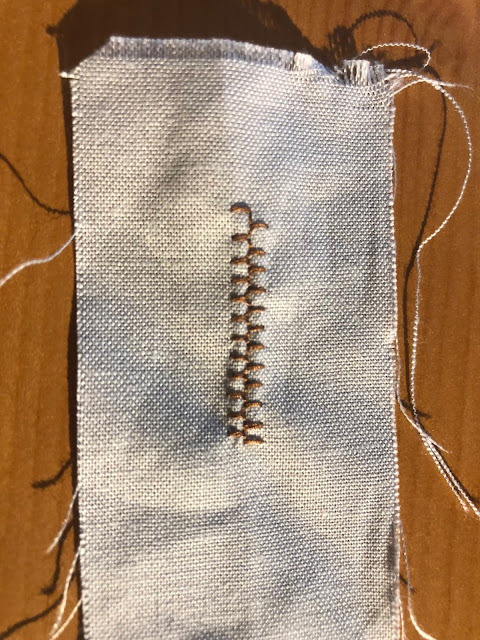 For anyone who has not yet heard the tip, listening to music while quilting helps you to maintain a consistent flow of stitches as you unconsciously match your movement to the beat of the music! If you sing along, an additional benefit is gained as it is really hard to grind your teeth while singing!!! While certainly not perfect, the finished topper was plenty good enough for display. First attempt at ruler work complete and I'm sure the more I practice the easier it will become! I'm hoping for more sewing time in the near future! Many years ago I had switched from wrapping Christmas gifts in paper to enclosing them in handmade bags. With with addition of my wonderful daughter-in-law and grandson to our family, my bag supply was woefully inadequate! 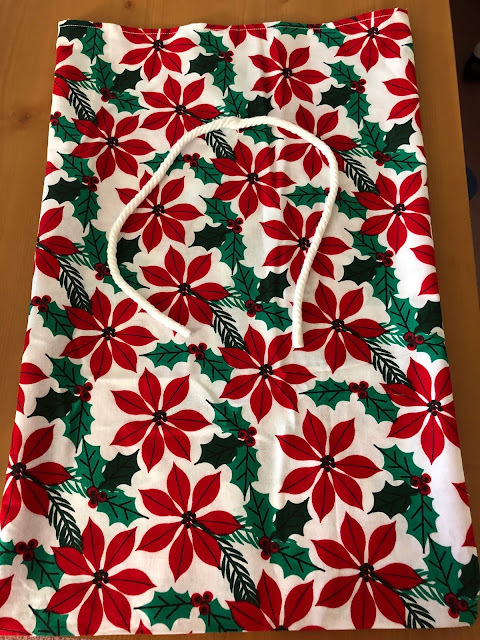 At the end of the holiday season last year (or maybe it was the year before) I bought about 12 yards of assorted Christmas fabrics on deep, DEEP discount. Over the weekend I "wrapped" our gifts and, as expected, needed a few more bags, LOL. If I can remember the next time I am in a hardware store I want to pick up some of the rubber dip to coat the end of the ties. I think that will hold up better than the scotch-tape I am currently using. Many years ago I sold Avon. I loved their products, but life became too hectic to handle selling Avon door-to-door and working a full time job. I was, sadly, forced to turn away from selling my favorite products. As there was no other saleswoman in my area, I have "done without" Avon for many years. We are now in 2018 and you can sell and buy Avon digitally, and have it delivered right to your door! If any of you have wanted Avon's wonderful products but have not had a Representative nearby, you can find a link to Gabby's Avon Page through the Avon tab above! Enjoy! Ps. I should note that they are on their honeymoon until next week ! Recently we purchased the My Pillow that is advertised on TV. First and foremost, we LOVE these pillows! If you are on the fence about buying them, I highly recommend them. Our pillows came with 2 free travel pillows. They are perfect for Justin and Gabby to take camping on their honeymoon. Gabby asked me to make pillow cases for them. 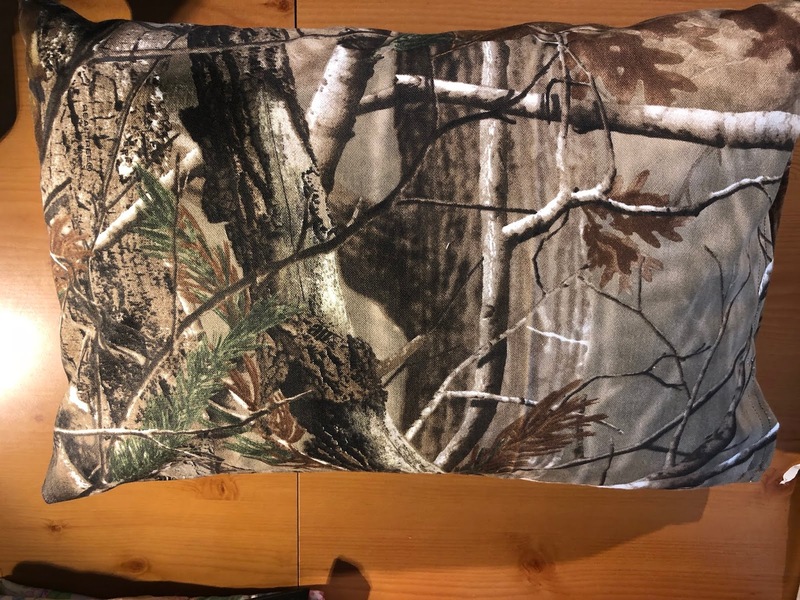 Of course I used camo fabric! Gabby asked me to put a small pink camo heart on one of the pillow cases for her. 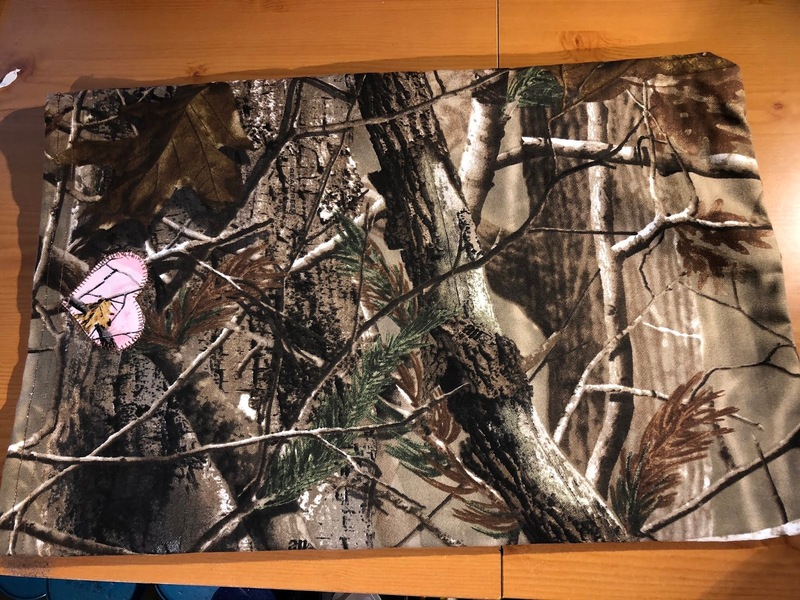 By now I am sure you all know how much she LOVES pink camo, LOL. 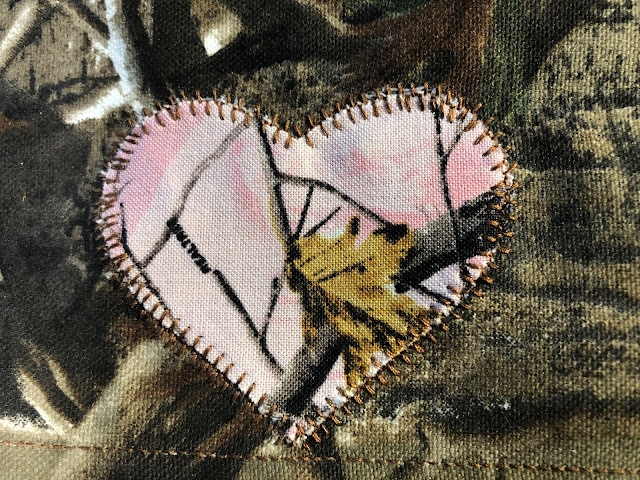 I used Pellon Wonder Under to attach the camo heart to the pillow case and then sewed around it with the same stitch that I used on my Fall Leaves Table Topper. I just love the texture that it imparts. Here is my test swatch before I began sewing. It is sort of like a blanket stitch that points both ways, or maybe a "baseball" stitch. Whatever you call it, and no matter what it is really supposed to be used for, I love all of the texture! You can be sure you will be seeing more of this stitch in my future, LOL. Off to tackle more of my "mending/making" pile! I am a "50 something" early retiree...wife to the love of my life...mother to the joy of my life. I am a daughter, niece, quilter, crafter and friend...defined by the person I CHOOSE to be each day as I play the hand I have been dealt. The Wonderful Crafting Blogs I Visit!